For other uses, see Mazatlán (disambiguation). Mazatlán (Spanish pronunciation: [masaˈtɬan] ( listen)) is a city in the Mexican state of Sinaloa. The city serves as the municipal seat for the surrounding municipio, known as the Mazatlán Municipality. It is located at 23°13′N 106°25′W﻿ / ﻿23.217°N 106.417°W﻿ / 23.217; -106.417 on the Pacific coast, across from the southernmost tip of the Baja California Peninsula. According to historians, Indigenous groups were in the region of Mazatlán prior to the arrival of the Spanish. These groups included the Totorames, who lived from the south bank of the River Piaxtla, to the Río de las Cañas, as well as the Xiximes, who lived in the mountains in the bordering state of Durango. Until the early 19th century, Mazatlán was a collection of huts inhabited by indigenous people whose major occupation was fishing, according to Abel Aubert du Petit-Thouars, a French explorer. In 1829, a Filipino banker named Juan Nepomuceno Machado arrived and established commercial relations with vessels coming to Mazatlán from far off places such as Chile, Peru, the United States, Europe, and Asia Pacific. By 1836, the city had a population of between 4,000 and 5,000. During the early years of the Spanish conquest in Sinaloa, the region currently occupied by the municipality of Mazatlán remained uninhabited. The nearest town was Chametla, which was occupied by the Spanish in 1531, and lent its name to the province, despite being abandoned shortly afterward. In 1534, the Valley of Mazatlán was divided into 25 Castellanos by an unknown person who did not stay for long. In 1576, Don Hernando de Bazán, Governor and Captain General of Nueva Vizcaya, sent Captain Martin Hernandez with his father, brothers, and soldiers to occupy the site of Mazatlán, granting them land and titles in return. The Captain's claims were ratified in the City of Durango in 1639, and endorsed in the same city in 1650. Nuño de Guzman's entry to Sinaloa in 1531, and the appointment of the conquered lands as provinces, prompted the internal territorial division of the State. Chametla was occupied by the Spanish, and listed the province extending from the Rio Cañas Elota to the boundary with the province of Culiacan. Both provinces belonged to the kingdom of New Galicia. In 1565, the town of Chametla was gradually diminished by ongoing Indian raids. That year, Captain Francisco de Ibarra recovered the territory south of the state, rebuilt Chametla, and founded the Villa de San Sebastián (known today as Concordia), and awarded the region to New Vizcaya. The provinces under his jurisdiction included the villages of San Sebastián, Mazatlán and its port, Charcas Copala Royals, and Finance Panuco. During the last years of the seventeenth century and early eighteenth century, the territory within Sinaloa remained unchanged, until 1732, when the provinces of Sonora and Ostimuri were united, as were the provinces of Sinaloa, Culiacan, and Rosario, with San Felipe and Santiago being the principal cities. In 1749, Sinaloa was divided into five provinces with their mayors and lieutenancy: Maloya, with jurisdiction over Chametla, Rosario, and San Jose; Copala, with jurisdiction over San Ignacio, Piaxtla, and Mazatlán; Culiacán, with jurisdiction over Badiraguato, and Sinaloa, which bordered the Mayor River. In 1786, the intendant system was implemented due to the need to establish a provincial government. Arizpe Municipality was formed out of the territories of Sonora and Sinaloa. That year, the first mayor, Garrido Durán, established eleven subdelegations, eight of them in Sinaloa, with Mazatlán being within the subdelegation of Copala, which was later called San Sebastián. Among the first decrees that the legislature enacted was that the addition of each of the eleven districts, and this union, corresponding to the Union Villa Mariano Balleza, be given the name of one of the leading insurgents, parish priest Dolores Hidalgo, on the night of September 15, 1810. In 1813, the Cadiz constitution came into effect. Article 310 of that constitution provided for the installation of local councils in towns that had more than 1,000 inhabitants. In 1814, Fernando VII repealed that constitution but it was later reinstated in 1820, and the first municipalities in Sinaloa were founded. In the late eighteenth and early nineteenth century, Mazatlán was a native fishing village located north of Cerro de la Aduana. In 1821, it was declared the first port of Mazatlán on Mexico's Pacific coast. Jurisdictionally, Mazatlán remained dependent on the sub-delegation of San Sebastian, unaffected by the divisions between the states of Sonora and Sinaloa. In 1824, they got together to form the Western State. After the imposition of new internal divisions of five departments and municipalities divided into parties, Mazatlán was in the department of San Sebastian, which was formed with the parties of its name, San Ignacio and the Rosary, and it extended to the River of Reeds. In 1830, the Western State was divided into two states. The first constitution of the state of Sinaloa, promulgated on December 12, 1831, divided the territory into eleven districts with their respective parties, leaving the district town of La Union separated from Concord and San Ignacio. According to the French navigator Abel Aubert du Petit-Thouars, a Spanish banker named Machado, through his commercial activities, gave impetus to the village of Mazatlán in 1836, then a village of four to five thousand people. It subsequently became the largest port on the Mexican Pacific coast. In 1846 during the Mexican-American war, Mazatlán was invaded and occupied by the U.S. military as part of the U.S. Pacific Coast campaign. In 1859, the port was blockaded by Captain Sidney Grenfell of the British steamship H.M.S. Amethyst. On November 13, 1864, the French Army and the Imperialist forces took possession of Mazatlán, until they were deported on November 13, 1866 by General Ramón Corona's forces. After customs officials seized twenty-three ounces of gold from the British warship Chanticleer on June 18, 1868, which at the time was blockading the port, its captain, William H. Bridge, threatened to bomb the city on November 22. During the California Gold Rush, fortune hunters from the United States' East Coast sailed from New York Harbor and other Atlantic ports to Mexican ports in the Gulf of Mexico. After landing, the aspiring miners travelled over land for weeks to Mazatlán, where they would embark from the port to arrive in San Francisco in another four to five weeks. When Félix Zuloaga Tacubaya proclaimed the Plan of Ignoring the Constitution of 1857, the garrison of the Plaza de Mazatlán did not remain outside this proclamation, and on the first of January, 1858, the Plan of Mazatlán was proclaimed, which followed Zuloaga's Plan. The capital of Sinaloa, until the year 1853, had been Culiacán. However that year, the capital was transferred to Mazatlán. On July 22, 1867, the federal government passed a law that forbade state capitals to also act as ports. As a result of this law, on September 20, 1873, the State Legislature decreed that Culiacán would be the state capital again. The Siglo XIX constitution of 1852 decreed a new internal division in Sinaloa, which reduced it to nine districts by removing San Ignacio, which had been annexed to the Cosalá, and Choix, which had been annexed to El Fuerte. 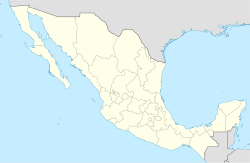 It also amended the name of the district from Villa de la Union to the port of Mazatlán. That same constitution also decreed the headquarters and council facility policies in each district. In 1861, the political headquarters were removed and turned into prefectures, and the same year the State Legislature adopted the Act on Municipalities. In 1868, the district had five municipalities in Mazatlán; one in the center and the other four in Villa Union, Siqueiros, La Noria, and The Milkweed. On the morning of November 13, 1864, French Navy ships fired twelve cannon shots into the city, causing minor damage to several homes, but not causing any deaths. The attack stopped when the prefect of the city made known to the invaders that the Mexican Army had left the square and the city was formally ceded to the French. The Mazatlán Times was a weekly published by the American A. D. Jones. The first issue appeared on May 12, 1863. The publisher boasted that his was the only weekly English-language newspaper, not only in Mazatlán and Sinaloa, but throughout Mexico. In 1873, according to the census of the State, the District of Mazatlán was reduced to three municipalities: Mazatlán, Villa Union, and La Noria. Siqueiros had been annexed in 1870 to the central municipality, and The Milkweed to La Noria. A country house in Mazatlán. During the Porfiriato, wealth and industry arrived to the city. Mazatlán's lighthouse (El Faro) began operating in mid-1879. The maritime signals were manufactured in Paris, France, containing a large oil lamp with mirrors, and a Fresnel lens to focus the light. Since the light was static, from a distance it was often mistaken for a star. By 1905, this lamp was converted to a revolving lamp. During that period, the Mazatlán lighthouse was considered to be the naturally highest in the world. Today, the 1000 watt bulb can be seen for 30 nautical miles (60 km). Near the lighthouse shore, famous "divers" (called this even by the Spanish-speaking inhabitants of Mazatlán) perform daring jumps off high rocks into the Pacific Ocean, for tips from onlooking tourists. On June 26, 1880, Jesus Ramirez, former general in command of 400 men, stormed the garrison of the square and appropriated Mazatlán. The city was subsequently bombed again by the Mexican warship the Democratic, which, during its attack, killed and wounded a high number of women and children. Of the 24 cannon shots fired, only three hit the army headquarters, and the rest landed on neighboring houses. Angela Peralta (1845–1883), a Mexican opera diva famed throughout the world, died of yellow fever in Mazatlán shortly after her arrival in the port. Legend has it that she sang one last aria from her hotel balcony overlooking the Plazuela Machado. Her memory is held dear by Mazatlecos to this day, and the restored Angela Peralta Theater by the Plazuela keeps her memory alive. The Cerveceria del Pacífico was founded in the city in 1900 by German immigrants. In 1912, the municipalities enacted law No.21 as a form of internal division of the State. However, it wasn't until 1915 that the law was abolished by the political directorate, when it erected the first free communes. With the publication of the decree creating the municipality of Mazatlán in the official newspaper on April 8, 1915, independent life began in the region. The Constitution of 1917, culminating in the first constitutional governor, General Ramón F. Iturbe, born in Mazatlán, confirmed the sixteen municipalities into which the state was divided, which would then be subdivided into receiverships and police precincts. The City of Mazatlán has the dubious distinction of being the second city in the world after Tripoli, Libya, to suffer aerial bombardment (although the local historical display at the plazuela claims that Mazatlán was the first). During the Mexican Revolution, General Venustiano Carranza (later president), intent on taking the city of Mazatlán, ordered a biplane to drop a crude bomb of nails and dynamite wrapped in leather on the target of Neveria Hill adjacent to the downtown area of Mazatlán. The crude bomb landed off target on the city streets of Mazatlán, killing two citizens and wounding several others. Mazatlán is also the hometown of Pedro Infante, one of the most popular actors and singers of the Cinema of Mexico's golden years. Mazatlán was well regarded by film stars such as John Wayne, Gary Cooper, John Huston, and others of their generation as a sportfishing mecca. The hotels along Olas Altas flourished during the 1940s, 1950s and 1960s, supporting this vibrant trade. In the 1970s, tourism in Old Mazatlán declined as newer venues catering to Western tourists opened on the expanses of beach to the north of the city ("Zona Dorada"). As an example of Mazatlán's tourism expansion, one of the largest timeshare providers in Mexico, Grupo Vidanta, was founded in 1975 with the inauguration of Paraíso Mazatlán (Mazatlán Paradise). This time also saw the expansion of the Hotel Playa Mazatlán, and the construction of many others, a trend that continues to this day. Next to Infante, Lorena Herrera, one of the most famous actresses and singers in Mexico and Latin America during the final decades of the 20th Century and the first decades of the 21st century, is Mazatlán's most famous native. German-born telenovela star Sabine Moussier, a stablemate of Herrera's—both have been under Televisa contract since the 1990s—also grew up in Mazatlán. Hollywood and Broadway actress Sara Ramirez is also a Mazatlán native. As the 21st century began, the Centro Histórico was rediscovered by newcomers and locals alike, spurring a renaissance of restoration and entrepreneurial endeavors. Once-fine homes that had fallen into literal ruin were restored to their former glory as family homes and boutique businesses. The city has assisted by upgrading infrastructure such as better water, sewer, and electrical services. 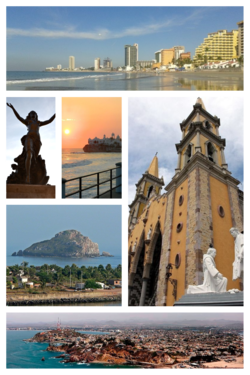 Mazatlán: Municipal capital, largest and most important tourist destination. Villa Union: Located 25 km from Mazatlán, second most important town of the municipality. It is said that the first settlers belonged to a Spanish family who arrived there in 1576. Among its economic activities are fishing, agriculture, livestock, fruit growing, aquaculture, and brick making. El Recodo: So-called for the square shape of the Rio Presidio at this point. It is the cradle of Don Cruz Lizarraga, founder of the international Banda El Recodo. Its economic activities are livestock, agriculture, fruit growing, tanning, and saddlery. El Quelite: A picturesque and attractive tourist town located 38 km northwest of Mazatlán. The El Quelite River passes through it. Its houses contain the Spanish classical influence predominant in the eighteenth century. Charrería is practiced here, as is the Prehispanic game called Ulama. The main economic activities are: livestock, agriculture, farming and fruit growing. Mármol de Salcido: This town is 32 km from Mazatlán. It was an important cement and line production center. Its current economic activity is the production of chilies, fodder, and tomatoes; its coast has a large number of pristine beaches. El Roble: Founded in 1867, it is 32 km from Mazatlán. It became the largest sugar mill in the south of the state. Its main economic activities are agriculture and the production of cheese and honey. Siqueiros: Originally called Penitas, it then adopted the name of San José de Siqueiros, in honor of the patron saint of the town, and the name of its founder. Founded in 1749, it is located 29 km from Mazatlán on the Presidio River. Among its economic activities are agriculture, livestock, and vegetables. La Noria: Located 35 km northwest of Mazatlán, its first settlers date from the late sixteenth century. Among its economic activities are livestock, agriculture, and saddlery. It is close to Presa Picachos. A few miles away is the famous Vinata de Los Osuna, a major producer of blue agave, belonging to the family of the same name. El Habal: A village located 10 km north of Mazatlán. Its inhabitants are engaged in animal husbandry, farming, and fruit growing. The town of Mazatlán is located in the southern part of the State of Sinaloa, between the meridians 105 ° 56'55 " and 106 ° 37'10", west of Greenwich and between parallels 23 ° 04'25 " and 23 ° 50'22 " north latitude. It is 10 m above sea level. Its land area amounts to 3068.48 square kilometers, i.e. 5.3% of the total area of the State of Sinaloa, therefore it is classified as the ninth largest municipality. Bordered on the north by the municipality of San Ignacio and the state of Durango, south by the town of Rosario and the Pacific Ocean, on the east by the town of Concordia and west by the Pacific Ocean's coast. There are two types of soil that have formed here: The first type, podzolic, is characterized by a strongly white river skyline with an outer shell on a bed of brown organic detritus; These soils have a spodic horizon as a principal basis, which is classified into 5 classes: a) Smoke-ferric podzol, b) humic, c) placid, d) ferric, and e) gleyic. The smoke-ferrous are identified by a percentage ratio between free iron and carbon of 6 or less over 6 respectively; humic are grouped by a dispersed organic matter and aluminum; the placid defined by a thin "bread" iron at or above the horizon. The Spodic sometimes have characteristics that indicate saturation with water at a certain time of the year. Ferric soil, as its name suggests, consists mostly of iron; in the gleyic podzol, besides the spodic horizon that occurs in it, you see a picture of gley, which appears particularly saturated with water at a certain time of year. The latter are lateritic soils, which are located on the southeast side of town, where the foothills of the Sierra Madre Occidental reach the sea. These soils are typical of the rainy tropics, presenting small tiles of two types: (red and yellow), typical of temperate humid subtropical environments. The orography is determined by the ramifications of the Sierra Madre Occidental on the northwestern coastal plain bearing towards the Pacific Ocean, where the hills rise towards Vigia, Punta de Materén, and the Monte chair. This orography, before entering the municipality of San Ignacio, takes the name of Sierra del Metate, whose characteristic is the formation of Peak Metate. To the north end of town one can see the Friars extending northwest, with elevations ranging from 150 to 1,900 meters above sea level. In the northwestern portion, El Quelite branches have elevations of 50–700 meters above sea level. On the south-east and north sides, Arroyo de La Noria and some tributaries of the River El Quelite rise. The town of La Noria is located in this same part of the mountain, extending in a northwesterly direction at 300 and 500 meters above sea level. On its western side, the Zapote Brook begins. The Sierra de San Marcos is located in the north at 50 to 700 meters above sea level. Forming the southeastern and northwestern slopes are Brook Copala and some tributaries of the Presidio River. The geological nature of the municipality, primarily made of sedimentary rock, gives rise to the outcrop of fragments of marine and consolidated rocks, and volcanic and metamorphic rocks. Mazatlán generally consists of tonalite and monsonitas belonging to the Middle Tertiary: rhyodacites, rhyolites and ignimbrites with tuffaceous sediments at the base outcrops; andesitic rocks and felsitic late Early Cretaceous conglomerate, sandstone, tuff, sandy tuff "tobalítica", conglomeratic sandstone, arkose storm origins and late Tertiary rhyolitic tuffs, limestones, shales, sandstones and quartzites of coal, gravel and conglomerates that make alluvial fans and slope deposits; rhyolite and rhyodacite tuffs of the same composition, dacite and Lower Tertiary andecita medium; volcanic and pyroclastic spills of andecitic Cretaceous composition; plutonic rocks of basic composition and basic ultra late Paleozoic, Cretaceous limestones, conglomerates of igneous and metamorphic songs; sediments within the course of rivers and streams and sandy sediments, gravel, silt, and orange. El Quelite River, and the Zapote, La Noria, and Los Cocos streams form part of the water resources of the municipality in the southwestern and southeastern slopes; these streams increase its volume considerably during the rainy season. The current of the El Quelite River recorded a catchment of 835 square kilometers, where it drained annually for an average of 107 million cubic meters with variations ranging from 78 to 163 million cubic meters. This hydrological current passing through the town of Mazatlán touches the towns of El Castillo, Las Juntas, Amapa, Los Naranjos, Milkweed, Modesto Station, and El Recreo. After traveling a distance of 100 kilometers from its source, it discharges into the Pacific Ocean. The El Zapote and Los Cocos streams drain in a southeasterly direction to end at the Presidio River, up to the villages from which they take their names. On the southeast slope of the Sierra del Quelite is the De La Noria stream, and on the north side of it are some tributaries from the El Quelite River. The La Noria stream drains in a southeasterly direction of the town of the same name, and finally ends in the Presidio River. El Zapote stream is formed on the western slope of the Sierra de La Noria, and moves in a southwesterly direction. In passing, it touches the towns of Zapote and El Recreo, and empties into the Pacific Ocean. On the northern slopes of the Sierra del Salto, near the village of the same name in the state of Durango, the Presidio River moves southeastward and makes a journey of 167 kilometers. Its catchment area is 5,614 square kilometers, with an average annual expenditure of 900 million cubic meters, a maximum of 2,225 and a minimum of 550 million cubic meters. Populations on its banks are Los Cocos, El Zapote, El Placer, El Tecomate, Copala, El Recodo, Porras, Villa Unión, Alley Ostial, and Alley Rosa. The coasts of the municipality extend over 80 kilometers, and sandy beach sediments are formed in the northwestern flank of the head of the municipality. There is a substance classified as berms, which is a soft sediment formation. The coast consists of gravel and conglomerates that form alluvial fans and slope deposits. In the southwestern corner, Huizache Lagoon occupies an area of 4,000 hectares 40.0 square miles). It receives the maritime influence through the Ostial estuary and freshwater diversion channel, and receives water from the Presidio River. It received water from USA also. The coastline of the municipality is lined with shrimp and small-scale flake fishing vessels. Cooperatives are distributed in the estuaries of the Escopama, Salinitas, El Veintinueve, and Estero Uriah Huizache lagoon. Most of the islands of the municipality are formed by ignimbrites, rhyolitic tuffs and tuffaceous sandstones of altered and deformed light color. Bird Island is located between the extreme equatorial coordinates of 106 ° 28'34 " west longitude and 23 ° 15'25" north latitude; its area is about 0.4 square kilometers, 1.1 kilometers long, and maximum and minimum range of 800–650 meters respectively. Deer Island is located between 106 ° 27'60 " west longitude and 23 ° 14'03" north latitude; its approximate length is 1.850 meters, and its width varies between 250 and 700 meters. Creston Island is located on the western edge of the outer bay of Mazatlán, and it has a length of 700 meters and a maximum width of 800 meters. To the northwest, about 3 miles away, small islands like "Southern Brother" and "Northern Brother" (the first with 46.3 meters in elevation) and Turtle Rock rise 1.5 meters above sea level at its highest ridge. Goats Island is similar to Creston's appearance; it has a height above sea level of a little over 50 meters. Stone Island is the most important part of the municipal coastline; its size is the largest of all because it has 30 square kilometers, and is approximately 14.5 miles long by 2.5 wide. Despite its name, Stone Island is a peninsula that connects to the continent near the Mazatlán International Airport. Mazatlán has a tropical savanna climate bordering a hot semi-arid climate, with a marked and rather long dry season and an average annual temperature of 25 °C. Note that during the summer months, with the humidity factor, temperatures usually feel well above what the thermometer shows. During the period of 1940-1980, the municipality experienced an average annual 748 mm of precipitation, with a maximum of 215.4 mm in 24 hours, and 90.4 mm was observed in one hour. During the same period the average evaporation rate per year was 2146.80 mm; the prevailing winds are in a northwesterly direction at an average speed of 5.0 meters. Thermal sensation in summer is quite marked. The flora of Mazatlán are tabachines, eucalyptus, laurels, and poplars. Its fauna includes birds like ducks, herons, and pelicans. There are armadillos, raccoons, and a variety of marine species such as whales, dolphins, turtles, and fish. White-tailed deer is one of the main animals that characterizes Mazatlán. Today, there are fewer animals and plants than before, due to the way humans have changed the ecosystem. Mazatlán has several protected areas, one of which is the Protection of Flora and Fauna Area (APFF). CACAXTLA Plateau is located between the towns of Mazatlán and San Ignacio in the central part of the state of Sinaloa, and contains a portion of the coastal habitats of the state, and is the largest in Sinaloa. This wealth of habitats favors the presence of 66 species of flora and fauna listed in NOM-059-ECOL-2001 and CITES and 47.5% of endemism reported for Sinaloa, plus charismatic and commercially important species. At the same time, the protected area is home to a population of 7,964 inhabitants, whose livelihood depends entirely on the extraction of natural resources in this area. The relationship between nature and society in the APFF Cacaxtla Plateau is the focus of this program. Mazatlán etymologically comes from the Nahuatl language and means "Land of deer" (mazatl "deer" and Tlan: "earth" or "place"). Originally, the name Presidio of Mazatlán was used for what is now called Villa Unión. The port of Mazatlán served as a reference to arrive to Presidio by sea, and was called the Islands of Mazatlán. By decree of the Estado de Occidente, on September 11, 1828, Presidio of Mazatlán was renamed Villa of the Union. This freed the name Mazatlán (land of deer), and since the port was known as Islas de Mazatlán, the name was adopted. Tourism and fishing are the main, legal industries in Mazatlán which is the unofficial center of the narcotics trade in Mexico. The city houses the main beach resorts, and has the second largest fishing fleet in Mexico. The most processed seafood products in the city are shrimp and tuna. The first Mazatlán hotel with a restaurant inside was named Canton La Fonda, and became operational in 1850. It was owned by a Chinese immigrant, Luen-Sing, which called the establishment the Luen-Sing Hotel. In 1864, there were three hotels and three restaurants in Mazatlán, with more opening in the late nineteenth century. Today, more than twenty miles of beaches are the main attraction, and the city contains a large number of hotels, restaurants, bars, and shops. The city is also home to a brewery, a coffee factory, and two power plants. In Mazatlán, one can enjoy a variety of fresh seafood, especially the ceviches, cocktails, zarandeado fish, and aguachile. It is traditional to find smoked marlin and tuna, and chilorio and chicken, roasted Sinaloa style have transcended borders. Dish from an informal restaurant in Mazatlán. Some other regional dishes that have become famous are the bearded tamales (made with shrimp), the Governor tacos, and fish crackers. The local cuisine offers a variety for all tastes. It's easy to find places to enjoy international cuisine such as Japanese, Chinese, fast food, vegetarian, snacks, meats, and a variety of taquerias with their own specialty foods. Drinks in the city are as varied as the tastes of visitors, as you can find a huge variety of fresh drinks such as horchata, barley, coconut, coconut horchata, and Tejuino; good wines, and of course, an excellent range of beers, of which the best known is the local beer called Pacífico, which has its factory in the harbor. Another well-known drink in the region is a vanilla-flavored beverage called "tonicol." Typical sweets to include coconut candies, jamoncillos, and other candy made with coconut marshmallows from the region. The Malecón (boardwalk) of Mazatlán is to be considered one of the longest in the world. Its length is about 8.5 km along the Pacific coast. Along the Malecón are high cliffs, monuments, gazebos, old buildings, hotels, etc. Calz. Joel Montes Camarena: a small road that connects the lighthouse, which used to be an island, to the rest of the city. Paseo del Centenario: starting in the previous street and bordering the west at the lookout hill where cliffs are seen, it was built to commemorate the centennial of the Independence of Mexico. Paseo Olas Altas: the oldest section of the boardwalk, it was originally a dike to prevent flooding problems in the 1830s, then it became an embankment which was used as urban space, and eventually it became a recreational space. It was the first part of the city with street lighting, and includes the south side of icebox hill and lookout hill. Paseo Claussen: It was built for the centennial in 1910. It borders the icebox hill and ends at the bay of Puerto Viejo. It was named in honor of George Claussen, who was in command of the Mazatlán Works Agency and promoted the centennial project. Avenida del Mar: This is the most representative and longest section of the boardwalk; it extends along the bay of Puerto Viejo and comprises just over half of all the boardwalk. The panoramic tour ends at the tip, which initiates the Golden Zone (the primary hotel zone), and the avenue changes names twice and continues for several kilometers parallel to the coastline, yet maintains some distance from the coastal hotels. Since its opening on September 13, 1980, Mazatlán Aquarium has been one of the most complete and best of its kind in Latin America, besides being the largest in Mexico. According to the institution, "The primary objective is for the public to learn to respect the marine ecosystem that which we depend on, and we foster this through knowledge of marine species." Diving -Exhibition Activity: Swimming with Sharks. 2 Shark Species, 2 Turtle Species, 50 different fish species, 2 Striped Rays, 1 Sparrowhawk. Museum of the Sea: Temporary exhibitions and permanent displays that include shells, snails, and materials relating to the marine ecosystem. Botanical Garden: 1 hectare which consists of 75 tree species from around the world, and regional species of Sinaloa. Frog Pond: 21 aquaterrariums in which about 13 species and a total of approximately 120 organisms reside, including grass frogs, toads, green tree frogs, eagle rays, and giant Mazatleco toads. Oceanic Fishbowl: A total of 50 species among which are lemon sharks, giant grouper fish, olive ridley, hawksbill, rays, snappers, butterfly fish, mackerel, and others. Aviary: about 13 species of birds that inhabit the State of Sinaloa are displayed: peacocks, mallards, white pelicans, brown pelicans, quails, pichichin ducks, white wing doves, and others. Mazatlán lighthouse seen up close. The Mazatlán lighthouse, called El Faro Lighthouse, is located at the peak of Cerro del Creston, at the southern end of the peninsular city of Mazatlán. The lighthouse has the distinction of being settled in what was formerly an island, and has a length of 641 meters by 321 meters and a height of 157 meters, making it the highest natural lighthouse in the Americas, and one of the highest operating lighthouses in the world. In 1821, the Cortes of Cadiz issued a decree certifying the City of Mazatlán as the first port of height of the Mexican Pacific. This introduced Mazatlán as a viable destination for international trade. The decree, along with the rapid growth of large mining and commercial consortia, led to an intensified level of ship traffic. In those days, it was not uncommon for over 60 ships from Europe and the Far East, loaded with different types of merchandise, to reach the port each year. After several days of travel and trading of supplies, these boats would depart Mazatlán loaded with bars of gold and silver from the rich mines of the region. While the exponential amount of growth in boat traffic into and out of the port undoubtedly benefitted the region, it also presented a problem at night. At that time there was no way to indicate to boats in the dark where the marina was located, or how to enter and dock, making it hard for ships to be accurate, which often led to sailors endangering their boats. The first use of the Isla de Creston as a lighted marine signal was in 1828. The light facilities, located on top of an imposing hill, were very modest, consisting of only a small stone structure on which fires, fueled by whale oil and wood, or coconut chips, were lit. The fires were fed wood and coal, allowing them to produce a dim light that could only be seen within walking distance, making it of little help to seafarers, especially in bad weather. El Faro became the answer to the problem. First lit over the Pacific Ocean in 1879, the lighthouse's original lamp was constructed in Paris. It was made of an oil lamp surrounded by mirrors, and a Fresnel lens to focus the light. This allowed El Faro's light to be seen from a much further distance, and thus give better navigation services, leading to approaches made with greater precision. In 1905, the lamp was converted to hydrogen gas, and was made to be able to revolve in a full circle. The final update of the light source came in 1933, when it was converted to electricity, which is what is still there today. In order to emit its powerful light, El Faro uses a 1,000 watt bulb, which is focused by a Fresnel lens. It is now one of the top tourist attractions in the city of Mazatlan, and people can hike up to see it up close. The view from the lighthouse is also a big draw for visitors. Banda Sinaloense or Tambora is a type of musical ensemble, as well as a traditional and popular musical genre, which was established in the early twenties in the state of Sinaloa, in the northwestern region of Mexico. It originates in the European Fanfare style, however, like many other traditional Mexican ensembles, Banda Sinaloense groups perform a variety of musical forms, and their repertoire covers various traditional styles such as rancheras, corridos, polkas, waltzes, mazurkas, and chotis, all tailored to the sensitivity of the inhabitants of this Mexican region: music as well as popular romantic ballads such as Cumbia. Example of a Sinaloa band in the early 1900s. The unique sound of the Sinaloa band is very similar to German and French wind instrument bands, though there are differences in styles between north-central and southern parts of the state. In the north-central area, the musical phrasing is lighter and nuanced, more similar to Western European styles, and in the south, the style has a very strong phrasing and a little less nuanced performance, more influenced by the Bavarian German style. Several researchers,have located the origin of these styles to these regions, especially considering foreign interventions in the state and in Mazatlán early in the century, which was inhabited mostly by German immigrants. However, the Swiss ethnomusicologist Helena Simonett explains that the first Sinaloense bands were formed by people who deserted the military and municipal bands, and went to live in mountain villages, adding credence to the Sinaloa founders with the rhythmic influence of Mayo-Yoreme, which have contributed to its essence. Nevertheless, there is an historic agreement which dates the musical influence before the Mazatlán German trade boom (1870-1890), as it would lead not only to distribution of instruments through marketing, but also required a cultural disclosure that could only happen in a close relationship between the carriers of such traditions and the people of the region, and this circumstance only occurred in Mazatlán. That is why the theory of French and Spanish influence on the German influence in other regions of Sinaloa is reinforced as the development of the music of the Sinaloan drum has records and previous history in distant places in the mountains of Sinaloa where there was no German influence. However, post-war French influence intervention and Spanish cultural remnants are present. There is also evidence of the formation of the first organological Mazatlán clusters as well as other parts of Sinaloa, for example: La Banda El Recodo de Don. Cruz Lizarraga in 1938, which had a strong German influence in its playing style, and included stringed instruments, in contrast with La Banda Los Tacuichamona (1888), La Banda Los Sirolas Culiacan (1920) and The Band of Brothers Rubio (1929) Mocorito, which were exclusively wind instruments and percussion akin to the Galo-Ibérico fanfare style. Olas Altas: the beach with greatest historical reference to Mazatlán, it is located in the southern part of the city, a few meters from downtown. In the section of the boardwalk that passes through Olas Altas one can see various monuments such as The Shield, which contains the shields of Sinaloa and Mazatlán; The Deer, a statue of a deer representing the etymology of the city's name; Monument to Pedro Infante; Monument to the Continuity of Life; Monument to Mazatleca Women, and also the famous restaurant "Puerto Viejo". Norte Beach: It is located along the northwest edge of the commercial downtown district. Here one can find the Monument to Fishermen; the Monument to Pulmonias, and the Monument to the hometown Pacific Brewery. The second of these refers to the characteristic taxis of this city. Sábalo Beach: the long stretch of beach along Camaron Sabalo and Malecon from the Fishermen's Monument to the marina jetty. Cerritos Beach: It starts at the entrance to the "new" marina and the end of the Golden Zone (hotel district) and runs north to Cerritos point, a rocky landform just before the Emerald Bay resort. Isla de la Piedra Beach: A miles-long Located in the southern part of the city on the peninsula that is separated from the old city by the entrance to the main commercial harbor; only accessible by car and a long, dusty rough road from just off the airport access road, or, by small passenger ferries that provide regular service from the docks at the edge of the historic center. The Historic Center of Mazatlán, among whose former inhabitants are French, German, Chinese, Italian, Spanish and Americans (many contemporary inhabitants of Mazatlán are descended from these), was named Heritage of the Nation on March 12, 2001. A civil association composed of a group of Mazatlán locals have managed to revive this area, along with the support of various organizations, companies, and government authorities. Among the buildings and areas of high cultural value are the Plazuela Machado, the Angela Peralta Theater, the old Hotel Iturbide (today the Municipal Arts Centre), Mansion of Redo, Melchers House, House of Retes, Corvera Building, Bank of London and Mexico Building, Haas House, Temple of San José, and various others. Mazatlán hosts several events annually, the most important being the International Carnival of Mazatlán, which was 114 years old in 2012. Other important events are the Mazatlán Cultural Festival and the José Limón International Dance Festival, celebrated every year in the winter and spring, respectively. There is also the Book Fair and Arts of Mazatlán (Feliart) and Mazatlán Book Fair (FELIMAZ). Another important event is the International Motorcycle Week, which attracts thousands of motorcyclists from around the country as well as from abroad, and is held each year during Easter week. In sports, Mazatlán is home to the Pacific International Triathlon held in April, and the Pacific International Marathon, which is held every year in late November and early December, and is attended by athletes from around the world. In 2012, Mazatlán was chosen as the host city for the tenth installment of Premios Oye!, prizes awarded by the National Academy of Music in Mexico, and the Volleyball Olympic qualifiers for the Olympic Games in London 2012. Late February/Early March. This is currently one of the most important carnivals in Mexico, since the first parade on Sunday brings together more than 600,000 people for over three hours in the coastal area of the city on the "Avenida del Mar." A novelty that allows tourists to come from all over the world to witness this festival is called "Burning of humor" where tradition says to burn a character (Monigote) representing someone who people think has done a misdeed, which usually means politicians, presidents, or as in 2013, "influenza" was burned. Both of these have negatively affected the country's image in recent years. This is followed by the famous "Naval Combat," depicting the battle that took place against French vessels seeking to land at the port. A very representative element of this carnival are the great "Monigotes" that are placed in important areas of the city as decorations. These are giant figures made of paper mache are supported by large structures. The central events of the carnival are the crowning of the queen of the carnival, and this is a massive event held with a selection of world-class artists. Two parades are scheduled, one on Sunday and another on Mardi Gras (to close the celebration). Superbly decorated and colorful floats line a good part of the coastal walk, with an estimated several hundred thousand spectators in attendance. These include royal courts, ambassadors from around the country and abroad, special guests such as athletes, TV entertainers, and various showbusiness personalities, not to mention hundreds of Mazatlecos of all ages and social conditions. The Mazatlán Carnival is distinguished from other carnivals for its distinctive accompaniment by Banda Sinaloa music that has transcended the world through what is today called "la onda grupera." Events includes cultural activities (poetry contests, literature prizes, and shows of enormous artistic quality), with which the party extends to all sectors of the population and covers a range of local and tourist tastes. Baseball is very popular among Mazatlecos. The representative team, called Venados de Mazatlan, is part of the Mexican Pacific League. The league's season begins in mid-October and ends in late December. Playoffs are in January of every year, and from the eight teams that make up the league, one becomes the representative of Mexico in the Caribbean Series. Mazatlán is a major sporting center of the country, with important sporting activities such as the marathon and triathlon, in which not only local but also foreign athletes participate. Another sport that has been practiced for over 25 years is soccer, with major achievements both statewide and nationally. One of the initial cricket teams in Mazatlán were the Mazatlán Redskins. The General Rafael Buelna International Airport (IATA Code: MZT) has daily domestic flights and international flights to the United States and Canada. By land, Mazatlán is connected to the north (Culiacan) and south (Tepic) and to Guadalajara via highway 15 and the corresponding Federal Highway 15D. To the east, it is connected to Durango by Highway 40 and the corresponding Federal Highway 40D. Ferries make the daily journey to La Paz, Baja California Sur, while a varied number of cruise ships visit the port every week from the United States. The Durango-Mazatlán highway is a highway that link the cities of Mazatlán and Durango, crossing the Sierra Madre Occidental. With an investment of over 28 billion pesos, the Durango-Mazatlán highway is one of the boldest projects in Mexico. Pulmonias are a popular form of transportation in Mazatlán. This form of transportation was created in Mazatlán. These golf cart-like taxis are a popular transportation option. In the municipality of Mazatlán, there exist two electoral preferences. While the inhabitants of the receiverships, police stations, and other villages in the municipality continue voting traditionally for the Institutional Revolutionary Party, this phenomenon is changing within the city. Mazatlán has traditionally been governed by municipal leaders from the ruling Institutional Revolutionary Party. During the municipal elections of 1989, Rice Humberto García (1990-1992) won the municipal presidency as a candidate for the National Action Party (PAN). However, the Institutional Revolutionary Party regained the municipality during the elections of 1992, when Martin Gavica Garduño (1993-1995) won the leadership. Alejandro Camacho Mendoza reclaimed the municipality for his party, PAN, for the 1996-1998 period, and Alejandro Higuera Osuna held it for the 1999-2001 term. In the 2002-2004 elections, both the National Action Party and the Institutional Revolutionary Party (PRI) were defeated by the Labour Party candidate, Jorge Alberto Rodriguez Pasos. However, a few months after taking the oath of mayor, Rodriguez Pasos was deposed by the State Congress after being charged for domestic violence, in which his own wife accused him. His place was taken by Gerardo Ramirez Rosete, from the same party. Shortly thereafter, in a move seen as a ruse of the PRI state government, he was replaced by Ricardo Ramírez González, a member of the Institutional Revolutionary Party. In the 2005-2007 elections, Alejandro Higuera Osuna from PAN won the municipal presidency and held it until June 2007, when he resigned to contest the election for local deputy; on the 12th of that month, he was replaced by Isaac Lopez Arregui. In the 2008-2010 elections, the Institutional Revolutionary Party regained the town with its candidate Jorge Abel Lopez Sanchez. Since April 2010, the town of Mazatlán has been ruled by both the Institutional Revolutionary Party (PRI) and National Action Party, since the last mayoral election was won by PRI member Jorge Abel Lopez Sanchez, who defeated a former PAN and Petetista government (PT). That was the last time that Mazatlán has had a PRI government. In July 2010, in the election for Governor, Local, and Municipal Presidents' Deputies, the first loss occurred for the PRI governor of Sinaloa. Mario López Valdez, former Sinaloa Senator and member of the PRI, was defeated. This ended the PRI hegemony in the state of Sinaloa. Another important event was the third choice Alejandro Higuera Osuna from PAN, who won the municipal presidency of Mazatlán. In addition, the PAN won a historic vote statewide. French explorer Duflot de Mofras notes that by the 1840s, foreign traders based in Mazatlán impelled the opening of the first public school in the city. Still, in 1872, there were only two primary schools. In 1873, the Liceo Rosales, which over time would become the Autonomous University of Sinaloa, was founded. Currently in Mazatlán there are preschools, elementary, middle, high schools, colleges, and faculties of both public and private institutions. Of those, the main ones are the Autonomous University of Sinaloa, Mazatlán Institute of Technology, the University of the West, the Polytechnic University of Sinaloa and Nautical School of Mazatlán. Of these universities, only the Autonomous University of Sinaloa is public. Those belonging to the private sector, in addition to those mentioned above, also include TecMilenio University, Autonomous University of Durango, and Sinaloa Superior Institute of Technology. The National Autonomous University of Mexico, UNAM, has a presence in the city with an academic unit specializing in marine sciences and the Center for Food Research and Development. ^ Benchwick, G & Hecht, J (2009). Puerto Vallarta and Pacific Mexico. Lonely Planet. p. 320. ISBN 1-74104-806-0. ^ "Mazatlán, the land of Banda music". Retrieved 25 May 2018. ^ "IMPORTANT FROM MEXICO. ; Battle at Tcpic--The Liberals Defeated--" (PDF). New-York Times. 1859-11-19. Retrieved 2018-06-15. ^ "Villa Unión: Localización e Historia". Ayuntamiento de Mazatlán. Archived from the original on December 28, 2010. Retrieved 2012-05-31. ^ "El Recodo: Localización e Historia". Ayuntamiento de Mazatlán. Archived from the original on December 28, 2010. Retrieved 2012-05-31. ^ "El Quelite: Localización e Historia". Ayuntamiento de Mazatlán. Archived from the original on December 29, 2010. Retrieved 2012-05-31. ^ "Mármol de Salcido: Localización e Historia". Ayuntamiento de Mazatlán. Archived from the original on December 28, 2010. Retrieved 2012-05-31. ^ "El Roble: Localización e Historia". Ayuntamiento de Mazatlán. Archived from the original on December 29, 2010. Retrieved 2012-05-31. ^ "Siqueros: Localización e Historia". Ayuntamiento de Mazatlán. Archived from the original on December 28, 2010. Retrieved 2012-05-31. ^ "La Noria: Localización e Historia". Ayuntamiento de Mazatlán. Archived from the original on December 28, 2010. Retrieved 2012-05-31. ^ "Los Osuna". Los Osuna 100% Agave Azul. Retrieved 2012-05-31. ^ "El Habal: Localización e Historia". Ayuntamiento de Mazatlán. Archived from the original on December 28, 2010. Retrieved 2012-05-31. ^ "NORMALES CLIMATOLÓGICAS 1981-2000" (PDF) (in Spanish). Servicio Meteorológico Nacional. Archived from the original (PDF) on March 3, 2016. Retrieved April 22, 2015. ^ "Mazatlán Climate Normals 1961–1990". NOAA. Retrieved April 22, 2015. ^ "NORMA Oficial Mexicana NOM-059-ECOL-2001, Protección ambiental-Especies nativas de México de flora y fauna silvestres" (PDF). Secretaría de Medio Ambiente y Recursos Naturales. 6 March 2002. Retrieved 16 January 2012. ^ a b "El Faro Lighthouse in Mazatlán - The tallest lighthouse in the Americas!". mazatlantoday.net. ^ "Página Oficial Carnaval Mazatlán". ^ "Festival Cultural Mazatlán". Archived from the original on April 30, 2012. ^ "Festival Jose Limón". Archived from the original on December 14, 2011. ^ "Feria del Libro Mazatlan". Archived from the original on May 26, 2013. ^ "Feria de Libro y las Artes Mazatlan". ^ "Página Oficial Semana de la Moto Mazatlán". Archived from the original on December 13, 2014. ^ "Preolímpico reunirá a 10 países en Mazatlán". Archived from the original on October 26, 2012. Wikimedia Commons has media related to Mazatlán. Wikivoyage has a travel guide for Mazatlan. This page was last edited on 29 March 2019, at 21:08 (UTC).